WASHINGTON — Despite reports that President Donald Trump indirectly threatened to leave NATO over defense spending, a key Republican senator said Thursday that Congress would never let a U.S. president exit the alliance. “If they were seriously planning on withdrawing from NATO, I think it would create a unifying event unlike anything you’ve seen in U.S. history,” said Sen. Thom Tillis, R-N.C., a leader of the Senate NATO Observer Group and member of the Senate Armed Services Committee. Congress has multiple ways to stop a withdrawal, and the will is there, evidenced by the Senate’s 97-2 vote to reaffirm support for NATO during the summit last week, Tillis said. Tillis called such a scenario hypothetical. Trump has been pressuring member nations to increase their defense spending and has said he could “probably" leave the alliance without congressional approval. The question has distracted from NATO’s more important work, Tillis said. Tillis and Sen. Jeanne Shaheen, D-N.H., lead the Senate NATO Observer Group. It added 10 senators Tuesday, the day after Trump denied Russia meddled in the 2016 U.S. elections during a news conference with Russian President Vladimir Putin in Helsinki, Finland. Shaheen, a member of the Senate Armed Services and Senate Foreign Relations committees, said that while Congress and the American public would not allow Trump to exit NATO, Trump’s equivocations on its value and hostility toward allies may eventually persuade allies to go their own way. Their remarks, at a Center for Strategic and International Studies event on Thursday, came after multiple reports that Trump threatened during the NATO summit in Brussels last week to pull the U.S. out of the alliance if allies did not commit to a defense spending hike. French President Emmanuel Macron has since disputed those reports. Trump suggested the country, of fewer than a million people, could somehow provoke a global conflict. "They're very strong people, they're very aggressive people. They may get aggressive and, congratulations, you're in World War III,” Trump said. On Thursday, Tillis offered a strong rebuke, noting that more than 1,000 allied troops have died in the wars since the United States invoked the Article 5 mutual defense clause after 9/11. 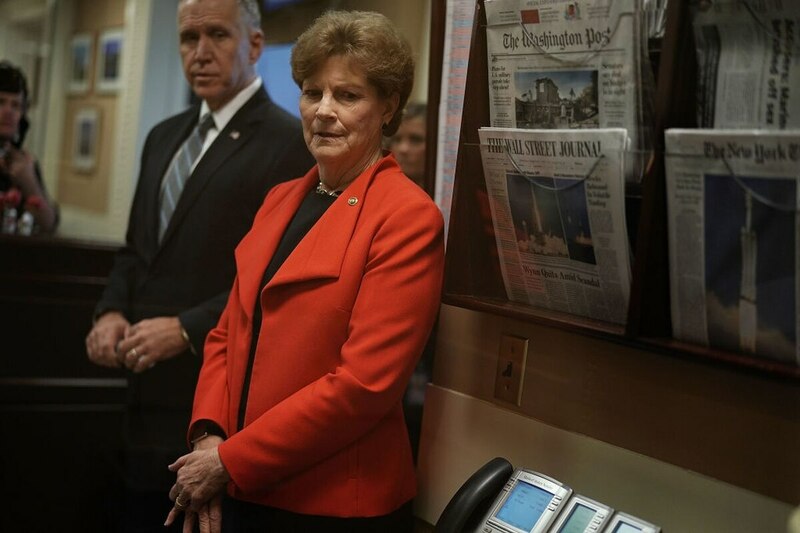 Tillis and Shaheen reestablished the Senate NATO Observer Group earlier this year to consider new accessions to the alliance, address Russian cyberthreats and reaffirm support for the alliance. They attended the NATO summit last week. The group was founded by then-Sen. Trent Lott in the late 1990s to shepherd NATO enlargement measures through the Senate, and both Tillis and Shaheen voiced support for the accessions of prospective members, like Macedonia.